Michael Seay is the Director of two MadAveGroup agencies: SensoryMax and design2influence (d2i). He's also the Governor of the American Advertising Federation's District 5, which includes Ohio, Kentucky and West Virginia. “I guide the direction of our Executive Board and work to see that our District's responsibilities are a success,” said Seay. Those responsibilities include producing the District 5 ADDY Awards, the National Student Advertising Competition, and the District Leadership Conference. 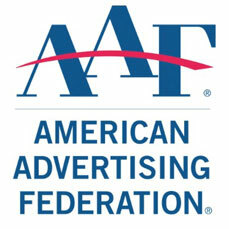 Members of the AAF National Board of Directors focus on industry issues, including diversity and multiculturalism, governmental affairs, and ethics in advertising, as well as the recognition of excellent creative work. Seay has attended “Day on the Hill” in Washington D.C., meeting with legislators about the issues facing the advertising industry. He stays involved in the latest discussions by meeting with a wide array of advertising professionals, from the leaders of the largest agencies, to individual freelancers. He's also led workshops and participated in ADMERICA, the AAF's national conference.